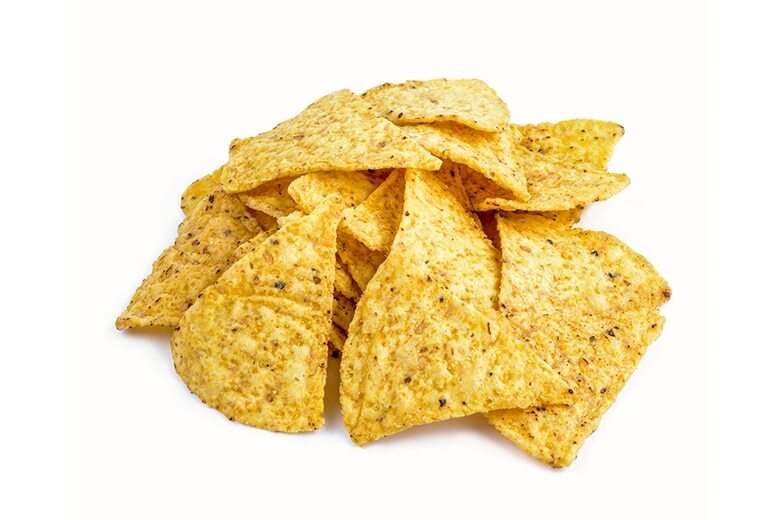 A lightly salted golden yellow toasted corn tortilla chip, with good bite and excellent flavour. Available in Round or Triangle shape. Ground yellow corn flour, vegetable oil (contains one or more of the following: corn, soybean oil), salt, trace of lime.